The Federal Reserve has a diversity problem, and Democrats want something done soon. The Democratic Party's platform for its convention calls out the lack of diversity at the Fed, a sore issue for the central bank. About 82% of the Fed's most senior employees -- there are 231 of them -- are white, according to Fed data. Also, not a single Fed leader on its top policy-setting committee is black or Latino. And 10 of the current 12 Fed regional presidents are white men. Democrats want to crackdown. They want to "reform the Federal Reserve to make it more representative of America as a whole," according to the party's official platform released in the runup to this week's Democratic National Convention. That sharp lack of diversity at the top is in the spotlight as the Fed begins a two-day meeting on Tuesday. Among the many things on the agenda are discussions on the economy and interest rates. The Fed is not expected to raise rates at this meeting. Republicans routinely trash the Fed's leadership. But now, Democrats aren't going easy on Fed Chair Janet Yellen either. In her testimony to a Senate committee in June, Yellen was asked about the Fed's lack of diversity three times. 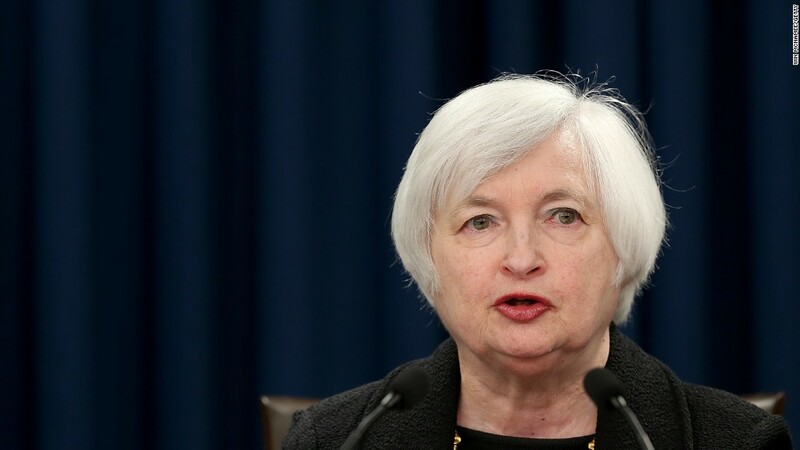 "The leadership across the Federal Reserve System remains overwhelmingly and disproportionately white and male," Senator Elizabeth Warren and Congressmen John Conyers, both Democrats, wrote in a letter in May to Yellen. Warren continued to grill Yellen at the hearing in June, asking whether the lack of minorities concerned Yellen and what she would do about it. Yellen's response didn't satisfy Warren. "It's unfortunate," Yellen said. "I believe it's important to have a diverse group of policy makers who can bring different perspective to bear." Fed Presidents are chosen by directors of the regional Fed banks. Then the Fed's Board of Governors approves the appointment. Some critics cry foul that Fed leaders conduct a matter of utmost importance -- U.S. monetary policy -- yet go through no public vetting process. "The selection process for regional Fed presidents is broken," Warren told Yellen in June. "The current process has not allowed you and the rest of the board to address the persistent lack of diversity among the regional Fed presidents." Democrats also want to weed out Wall Street from the regional Fed banks. The last three regional Fed president appointments have been former Goldman Sachs employees. Currently four Fed presidents hail from Goldman and two worked at Citigroup. "We will fight to enhance its independence by ensuring that executives of financial institutions are not allowed to serve on the boards of regional Federal Reserve banks or to select members of those boards," according to the Democrats' platform.